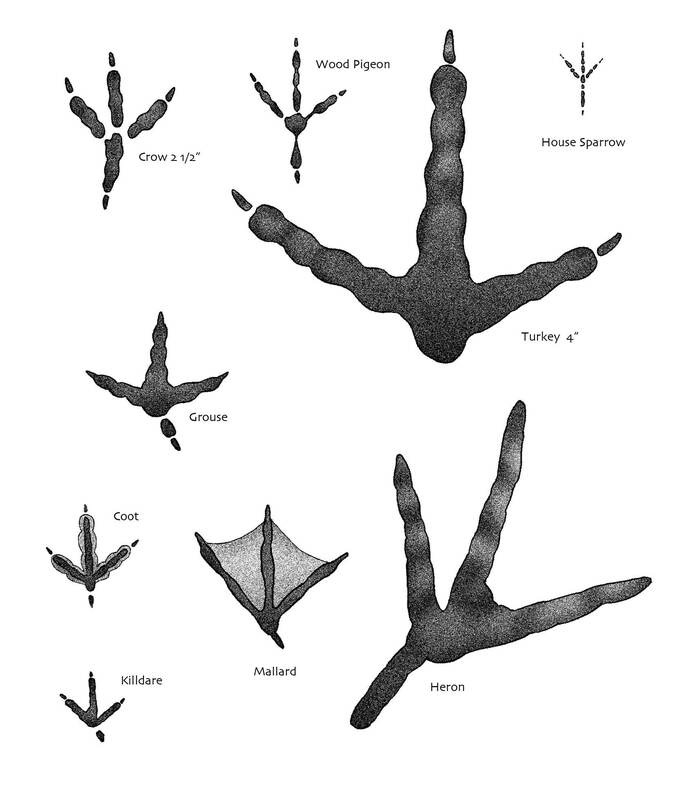 North America is home to an extremely diverse range of animals, some of which are both prey and predator alike. When we picture a predator, usually what comes to mind is an enormous, intimidating creature with razor sharp teeth and claws, snarling and snapping viciously. However, did you know that the small, cute ladybug is a predator? Similarly, when we picture prey, we usually think of a small, timid animal bounding away to hide under a rock. As huge and regal as they are, it’s easy to forget that the American Bison fits into the prey category as well. Clearly not all is as it seems! We’ve researched and compiled a list of our favorite fascinating facts about some of the animals in the North American food chain. American Bison: These creatures primarily eat grasses, weeds, and leafy plants, typically spending 9-11 hours a day foraging. The large protruding shoulder hump comes in handy in the winter, allowing them to swing their head from side to side, clearing the snow away to create a foraging patch. Housefly: Houseflies don’t let their short lifespan (14 days) get in the way of making music! They always hum in the key of F.
Mantis: Closely related to termites and cockroaches, praying mantis have been known to stalk and kill hummingbirds! 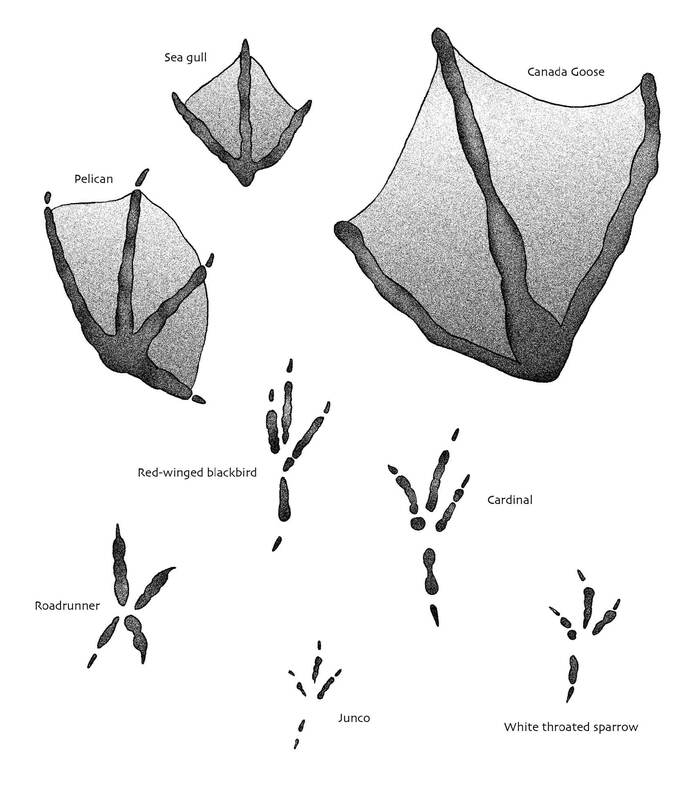 Octopus: Our feathered friends aren’t the only ones with beaks – octopuses do too! 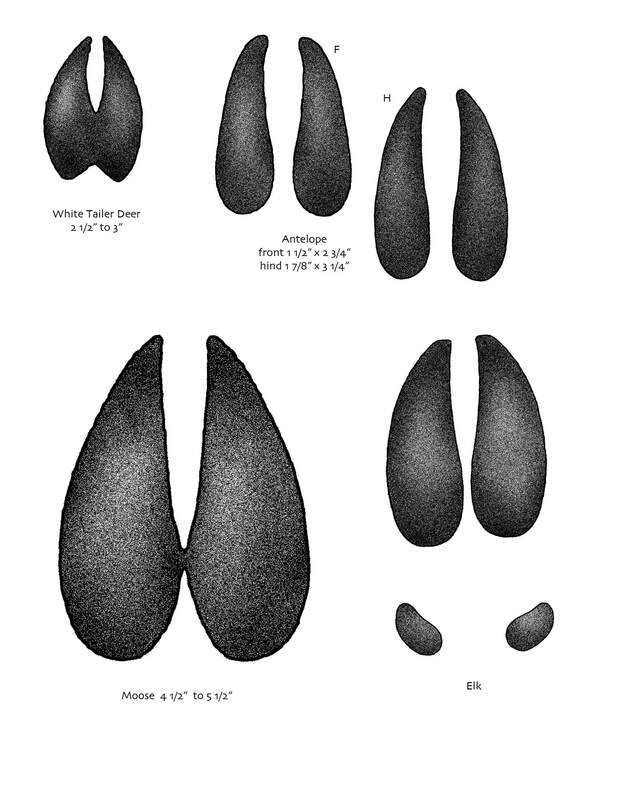 They need these strong beaks to break open the hard shells of the prey they eat. Wolverine: These animals have an incredible sense of smell. If an animal is hiding under the snow, a wolverine can smell it from 10-20 feet down. While we consider this a fun fact, I doubt the prey harbors the same sentiment! Burrowing Owl: This owl was so named because it lives underground in burrows that have already been dug by small animals like ground squirrels and prairie dogs. Nine-Banded Armadillo: The world’s most widespread armadillo can be found in North, Central, and South America. When startled, they can execute a five-foot vertical leap, thanks to the tension and flexibility of the armored “scutes” along its back. Opossum: This scary-yet-adorable dumpster diver has the ability to neutralize any kind of poison, even those he’s never encountered! Opossums can do this because their bodies produce a protein called lethal toxin-neutralizing factor. So be nice to this little guy when you see him, perhaps his species will do great things for humankind someday! Blue Whale: Yes, we know they’re enormous. But to put their size in perspective a bit, did you know that their tongue alone can weigh as much as an adult elephant? That is one massive creature! These are just a few of our favorite fascinating facts that we’ve found. With an estimated 432 species of mammals, more than 800 species of birds, more than 100,000 known insect species, 311 known reptiles, 295 amphibians, and 1154 known fish species in the continental United States alone, there is so much more to discover! Don’t forget to check out our collection of nature books for more information about the incredible flora and fauna that can be found in North America. Camping is about more than just getting away for the weekend. It’s a chance to reconnect with ourselves, our families and the outdoors. When the world around us is opened up to the outdoors and closed off to normal daily pressures and obligations, magical things happen. We relax. We learn to appreciate the simple things. We reset ourselves for our busy lives at home (think Ctrl+Alt+Delete), and we establish deeper bonds with the people we are with. If all that wasn’t enough to get you in the camping mood, here’s four great reasons why families the world over should head outdoors this summer for a weekend camping adventure. A weekend of camping with the family is like a reset button for our daily lives. Learn to Unplug – In a world where most all of us are plugged in constantly, it can be a bit difficult to go without a device of some sort for very long. Camping, especially in a rural area, can help to shift our focus from our devices to the world around us. Plus, if you’re in a remote area and don’t have reception or electricity, then you will literally be “unplugged”. At first, it may be painful, but before you know it, you’ll find the family visiting more, laughing more, interacting more, and paying much closer attention to the world around them. I once spent eight days whitewater rafting through the Grand Canyon. There were no devices, electricity, or modern conveniences for a hundred miles in either direction. At first I worried about missing work emails or important phone calls. After 24 hours, I forgot all about them. After eight days, I dreaded having to go back and check any of them. For the first time in my adult life, I was able to fully immerse myself in my surroundings and live fully in the moment. It affected me deeply, and to this day I long for that feeling again. This is coming from a girl who has practically every device Apple ever sold, so when I write about the importance of unplugging, I write about it from experience. Learn Some Basic Outdoor Survival Skills – Ok let’s be honest here. Most kids (and adults) today don’t know how to find their way with a compass, light a fire, or build a shelter. And that’s fine. We don’t really need to. That being said, none of those things are bad skills to have, and a weekend camping is the perfect time to practice some of them. 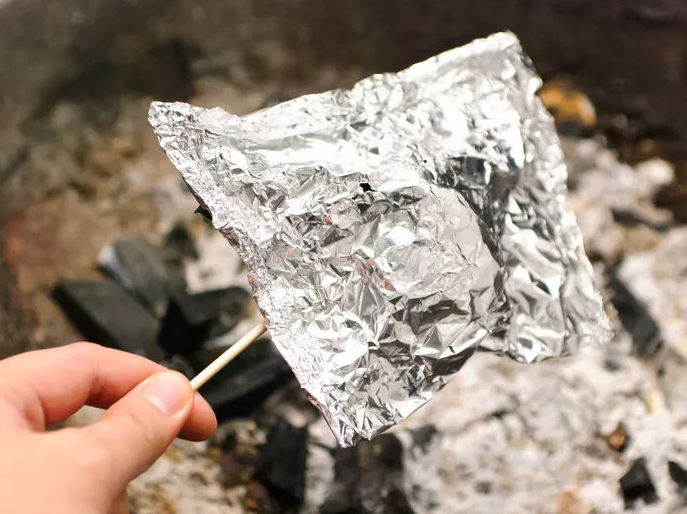 After all, you can’t make s’mores without the fire, so take some time to teach the kids some basic outdoor skills. They’ll have fun, they’ll learn something, and they’ll feel a sense of accomplishment. Learn to Communicate – I don’t mean proper english sentence structure here. I mean talk, visit, and just plain old communicate. When we’re home during our busy everyday lives, we get caught up in the details of the day. Removing ourselves from our everyday lives gives us the chance to talk about other things. Evening campfires and afternoon hikes are a great time to do this. Visit about family history, cool stories from when you were young, or their dreams and goals when they grown up. Whatever it is, try to steer the conversation away from everyday tasks and burdens of home life. Those details will be waiting when you get home. You can talk about them then. 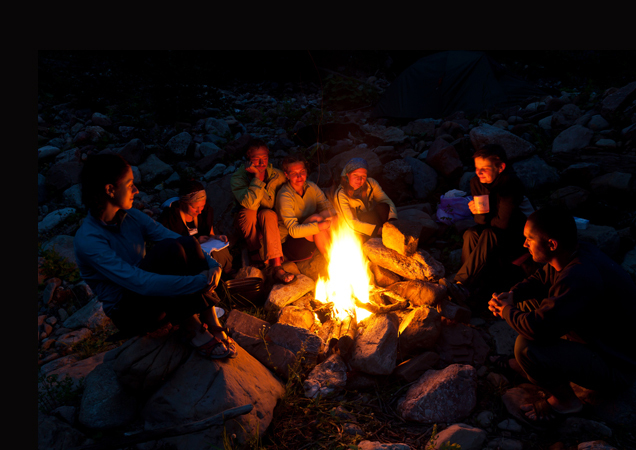 Learn Personal Responsibility – When we are camping, we usually have limited resources. This forces us to be aware of what we consume and what we throw away. We also have to deal with all of our trash and mess. We can’t leave our campsite messy and full of garbage when we are done. This forces us to be learn to respect our surroundings and keep our area clean. We also can’t leave food out (think bears) and our tents or camper doors wide open (think bugs). This forces everyone to immediately clean up after ourselves and take some personal responsibility. It’s a small thing, but if we carefully mention it and talk about it with our children, it can have a big impact on their behavior that can carry through to everyday home life. Check out JM Cremp’s for the ultimate in fun family camping gear that’ll make your weekend excursion or your backyard campout a perfect event. Camping season is upon us. 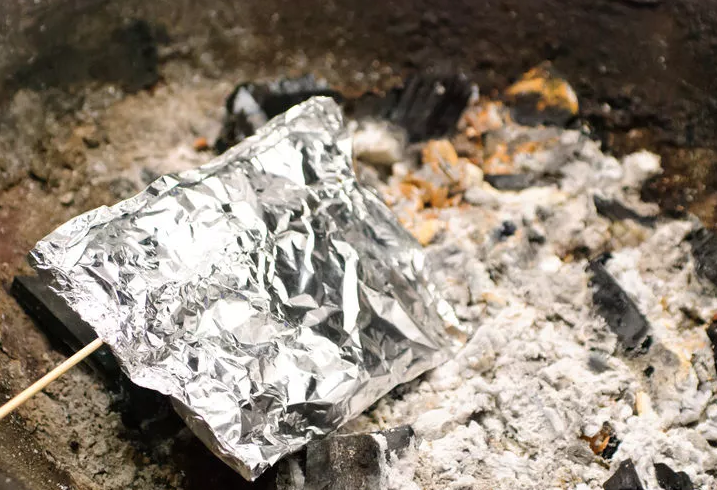 Whether you’re planning a wilderness camping adventure or a simple backyard campout, cooking over the campfire is one of the best parts of camping. Combine a campfire and popcorn, and now you’re talking our language! Campfire popcorn is not only a delicious snack, it’s also a blast to make over a fire while enjoying the outdoors. * Be sure to use appropriate caution and abide by campground rules while building the fire. Step 1. Build your campfire in clear area away from trees and buildings. Allow the fire to burn until hot embers form. Step 2. 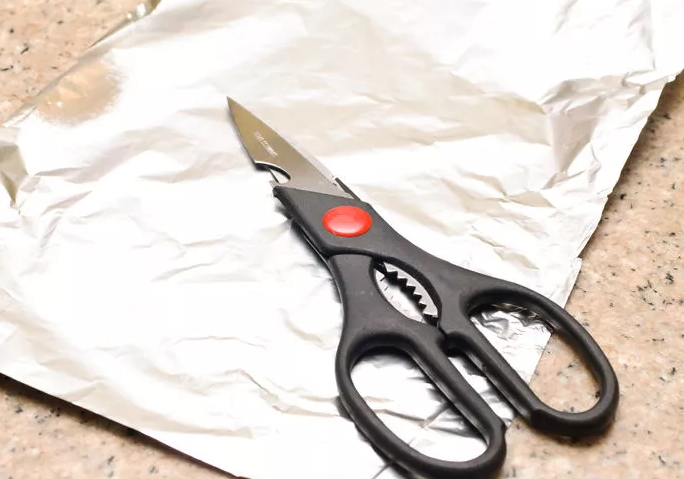 Cut foil into 18 to 20-inches long pieces. Step 3. 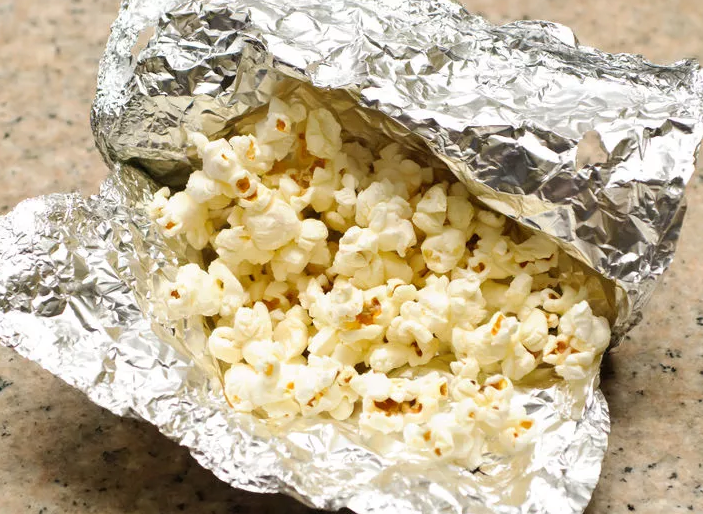 Add a handful of popcorn on top of each piece of foil. Step 4. 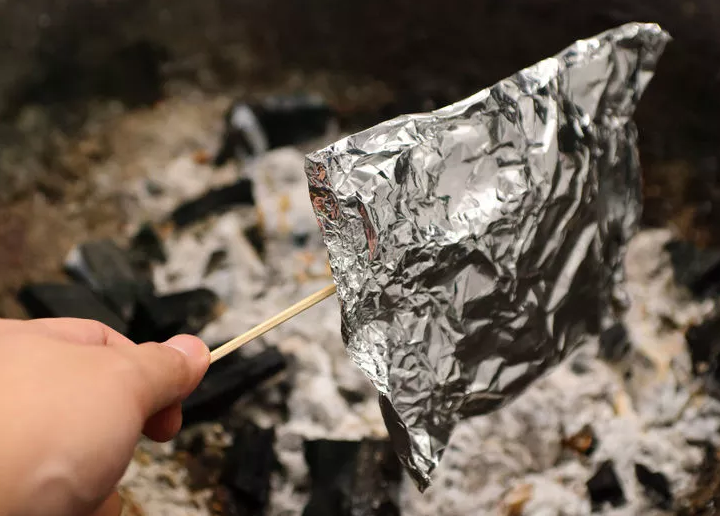 Add a teaspoon of vegetable oil to each piece of foil. Step 5. 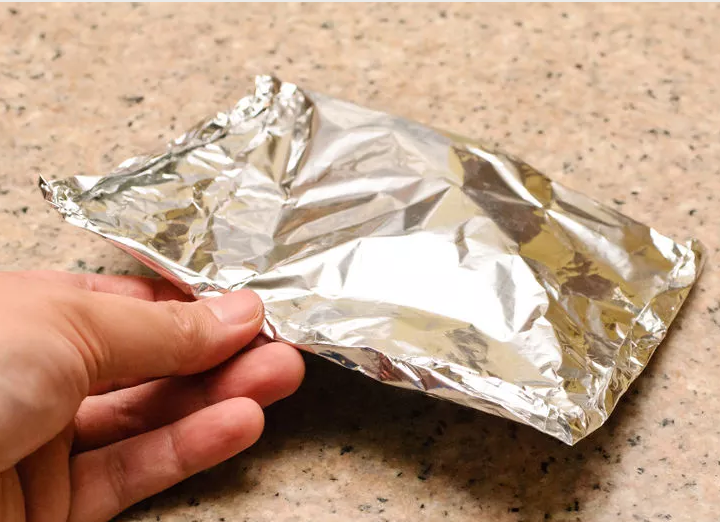 Fold the foil in half and then twist the sides to seal. Step 6. 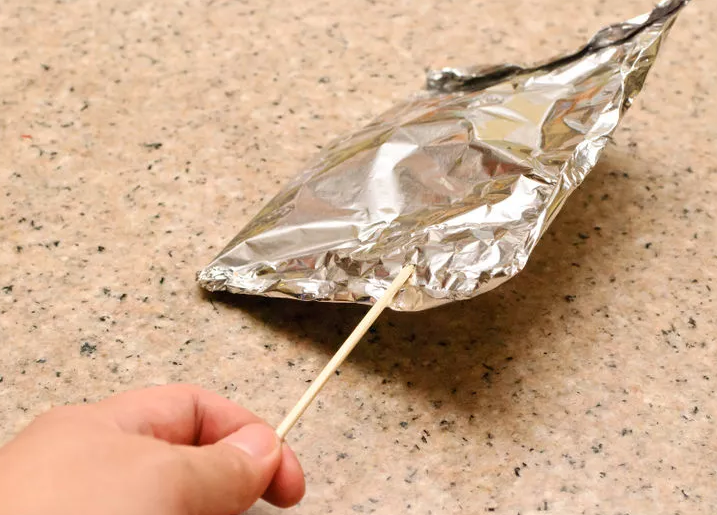 Attach the foil pouch to a long stick. Step 7. 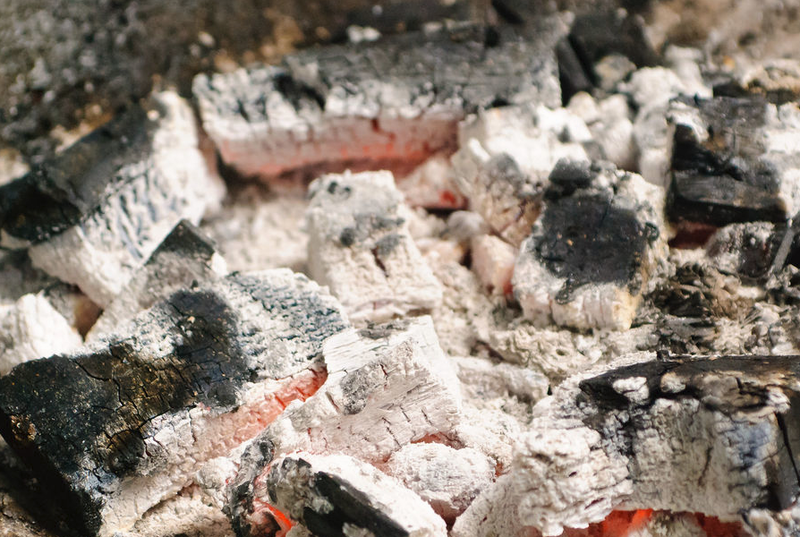 Place the pouches over or slightly above the coals of your campfire. Step 8. Listen and wait for the popcorn kernels to start popping. Step 9. 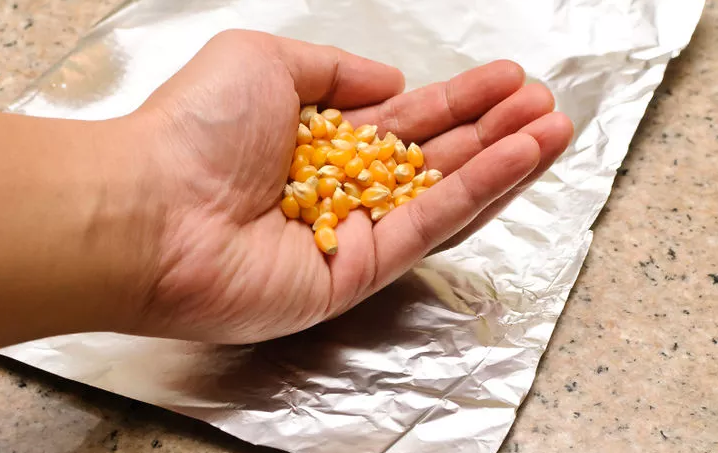 Remove the foil packets once you do not hear any more popping inside the foil packets. Be careful when opening the pouch as it will be very hot and steamy inside. Step 10. Season the popcorn with butter and salt. Sugar is optional. Step 11. You’re finished! Enjoy your campfire popcorn. For more fun camping equipment and outdoor gear visit JM Cremps camping section. There you’ll find gear for camp cooking, fun camping games, and more! The instructional portion of this article was provided by wikihow, a wiki building the world’s largest, highest quality how-to manual. 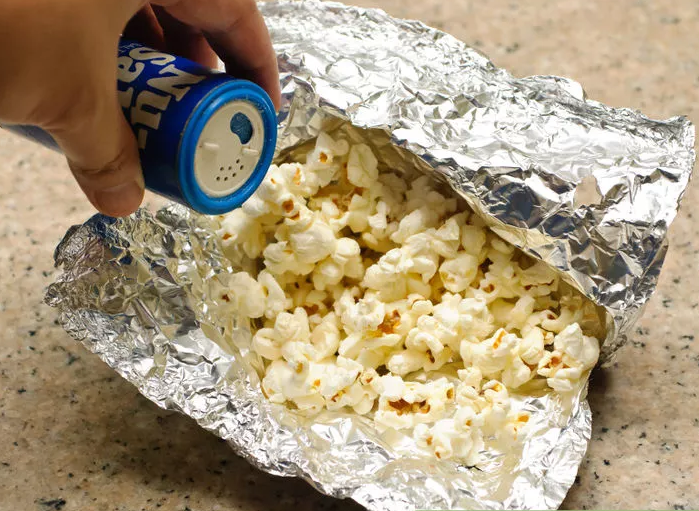 Please edit this article and find author credits at the original wikiHow article on How to Make Popcorn While Camping. Content on wikiHow can be shared under a Creative Commons License. Looking for a fun activity for spring that’s perfect for picnics, birthday parties, or family gatherings? How about a spring scavenger hunt? It’s simple, fun, and engaging for even the youngest members of the family. Download your printable copy of our Spring Scavenger Hunt by clicking here. Winter is full swing, and for many of you, the snow banks are piled high. The holidays are over, school is back in session, and spring seems a million years off. About now, cabin fever may be setting in. The kids are tired of playing outside, and you’re tired of the kids playing inside. This is the time to kick-up the outdoor fun a notch and show your kids how to build the best snow fort on the block. Show them how to do it right, do it safely, and to do it with some style. The next thing you know, you’ll be serving hot chocolate in the fort instead of the kitchen! NOTE: It is important to remember to make sure that they maintain the thickness of the ceiling as the video explains, and that they do not make the entrances and tunnels too wide. Inserting painter’s sticks in the ceiling is an excellent way to make sure that the fort stays strong and won’t collapse. If they don’t want to build a fort with tunnels and would rather build the fort so that it has an open top, then the JM Cremp’s Snowball and Snow Brick Maker will be their best friend. Pack the snow in the mold, place the bricks in a staggered formation one on top of the other, remove the mold, and voila! The next thing you know there will be a fort the size of the Alamo in your yard! If you’re not a kid, you may be asking, “What’s the advantage to an open-topped fort?” Snowball fights of course! The Snowball and Brick Maker will make quick work out of fort-building and snowball making. Whether their fort is small or large, simple or grand, one thing is for certain – they’ll enjoy hours of entertainment and loads of fun. As always, JM Cremp’s is your ultimate source for adventure toys and gear, outdoor fun, and family activities. If you don’t already have their catalog, request one today! Just because summer is winding down, doesn’t mean you can’t squeeze in a lot of summer fun before the leaves change color. A homemade slip and slide is easy to set up and is a blast for the whole family. 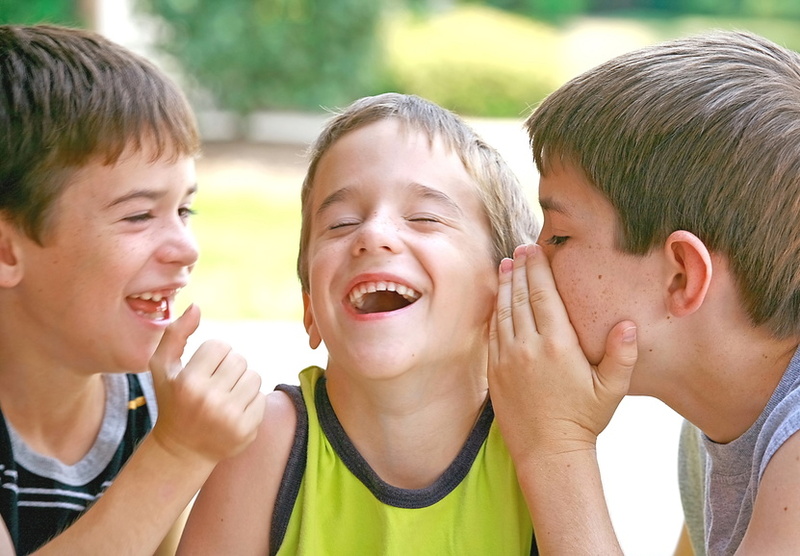 Set it up at your next family gathering and watch the laughter ensue! Step 1. Plastic sheeting. If you don’t already have a roll of plastic sheeting they are easy to find at the nearest hardware store. The ideal size is a standard 10 x 100 foot (3 x 30 meter) roll of plastic sheeting. Look for sheeting in the paint supply section. You should be able to find a sufficient roll for $5-30 USD. You may find rolls of various lengths available; have a slipping-and-sliding space in mind while you’re making your purchase, and try to buy a roll that will fit that space. If you’re just using a backyard, 20-30 feet should suffice; if you’ll be using a large, grassy hill, or a public park, you may plan for a 50-foot, 100-foot, or 200-foot slide. 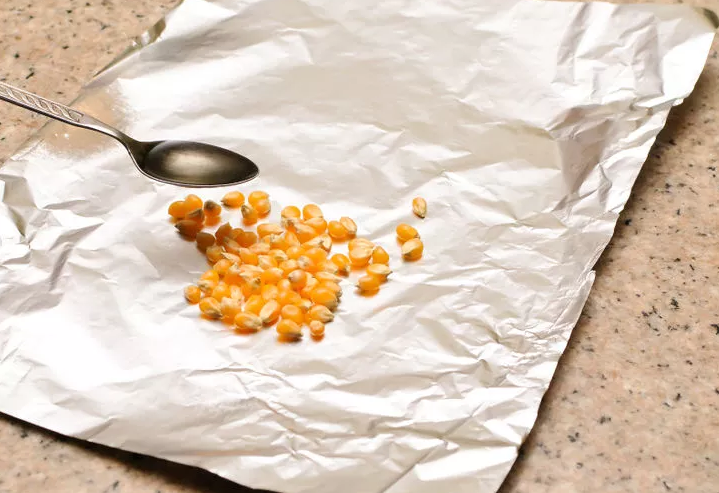 Remember that you can always fold the sheet over if it’s too long or too wide, and you can always tape the ends of two sheets together to make an extra-long slide. Find the thickest plastic that you can. The sheet should be at least 4-6 feet wide–broad enough that you won’t slide off halfway down the slide. As a rough rule of thumb: the longer the slide, the wider it should be. You may also consider using a standard tarp, although most tarps may not be long enough for a quality slide. If you’re setting up a slide in your yard, then a large tarp should suffice. Tarps tend to be thicker and sturdier than plastic sheeting, but they’re also much more expensive. Find the longest, thinnest tarp that you can. Step 2. Choose your sliding location. You’ll need a large, soft, grassy area, preferably on a slope. Consider building a slide on the beach. 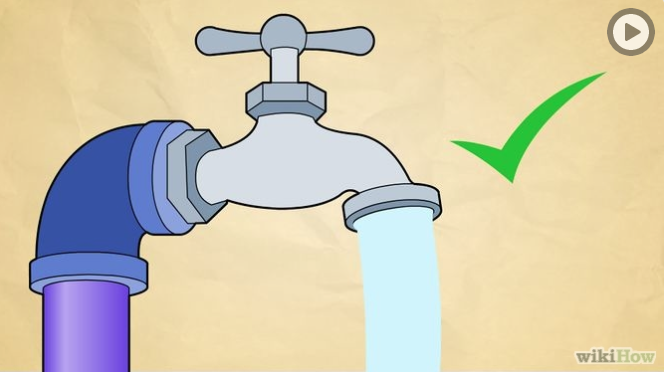 Make sure that you’ll be able to access a water supply. Make sure to choose a spot where you won’t run into a driveway, a road, or any trees. Check for obstacles in the path of the slide: potholes in the grass, small bushes or stumps, or rocks that could be painful to a slider. Avoid all potential hazards. A grassy, gently-sloped hill is ideal, if you can find one. The steeper the hill, the faster you’ll go–and the more likely that you’ll take a tumble off the slide on the way down! Carefully consider who will be riding this slide. If you’re making a slide for young children, choose a shorter, flatter run–a gentle, grassy backyard is perfect. If you’re a teenager or an adult making a slide for other teenagers or adults, feel free to chase the adrenaline and pick the biggest hill you can find. Slide at your own risk. Make sure that the end of slide is safe, soft, and flat. Ideally, your slip-and-slide should run out onto a long, grassy lawn. You’ll be coming down the slide pretty quickly, so be sure that you have plenty of room to land. Keep the end of the run far away from potentially painful surfaces: rocks, sidewalks, roads, walls. Consider running the slide out into a body of water: a pool, a pond, or a river. Always have an adult confirm that the space is safe to use. Better safe than sorry! Step 4. Find a water supply. You’ll need to keep the slide constantly lubricated to ensure a smooth and slippery sliding experience. If you’re setting up the slide in the yard of your house, you can just use a standard garden hose. If you have any sort of spigot attachments–a spray hose, for instance–feel free to use it for more control. If you’re slipping and sliding away from home–say, on a grassy hill, or in a public park–look around for a spigot. If you can find a spigot, then consider bringing a hose from home to hook up, but be aware that your community may frown upon you tapping into the municipal water supply. Make sure you get permission before doing so! If you’re away from home and you can’t find a spigot, then you’ll need to supply your own water. Bring a few buckets, and fill them up with water at the nearest tap. Pour out the water at the top of the slide and let it run down. Return to the tap to refill as needed. Your supply is low, so you shouldn’t pour the water out until right before someone rides the slide. Step 4. Roll out the plastic sheeting. When you’re ready to set up the slide, spread your sheeting out over the sliding run. 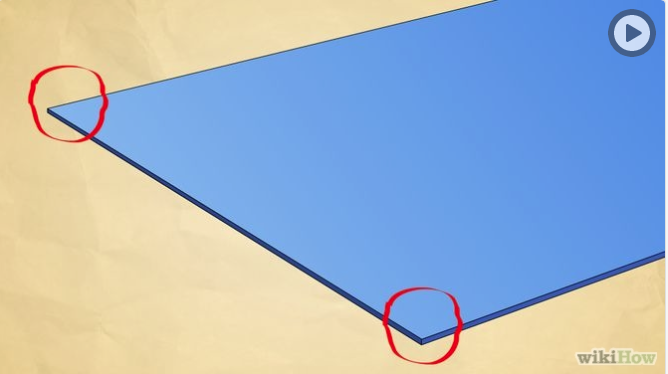 Make sure that the sheeting is as straight as possible. Smooth out any wrinkles. Align the course along the natural slope of the hill. You will start at the top (or on the hillside) and end up at the bottom. Fold the sheeting as needed to get the size and shape that you want. 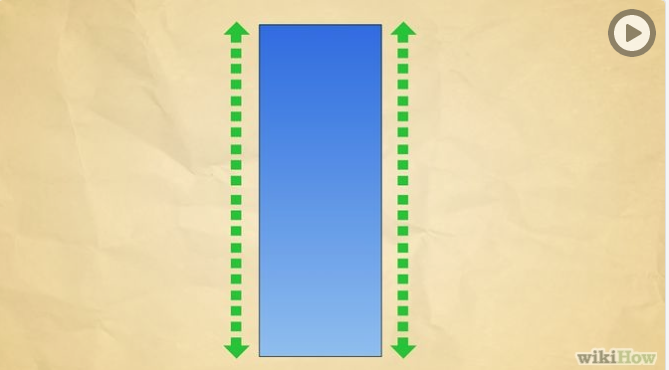 If you want a narrower slide, stick to 4-6 feet wide. If you prefer a wider slide, leave the sheeting as wide as you bought it. Use your best judgement, and above all make the slide safe. Remember: the longer the slide, the more time you’ll have to tumble off the sides, especially if you start sliding at an angle. Consider leaving the slide wide for extra-long sheets. Consider holding the sheet taut, with one person holding each corner in the air, in order to ensure that it’s been completely unfurled. Step 5. Anchor the sheet to the ground. You want to slip and slide on the slip-and-slide, but you don’t want the slip-and-slide to slip and slide around while you’re slipping and sliding. This is especially important for longer slides and slides on hills. Use metal stakes or tent pegs to hold the corners in place. You may want to stake down the edges of longer slides, at intervals, to ensure that everything stays where it should. You can use heavy objects to weigh down the corners of the slide, but don’t use anything that will injure you if you run into at a high speed. Buckets and plastic containers (filled with water for weight) are good; chairs are good; anything that you can knock over without hurting yourself is good; anything soft but dense (like a hay bale) is good. Cinderblocks, heavy rocks, and bricks are not good; sharp objects are not good; anything that you wouldn’t want to smash against your face is not good. Make sure that the slide is secured in place. 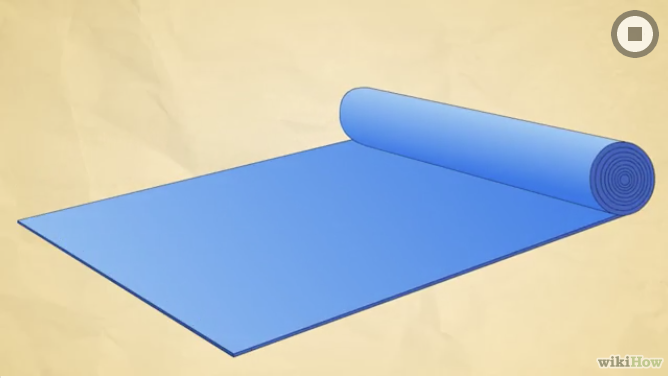 Once people start sliding down the sheet, it will shift around and bunch up into itself unless you’ve stretched it taut. If you plan ahead, you’ll save yourself the trouble of pausing the fun to adjust it later. A smoother slide is a safer slide. If the sheet bunches up, wrinkles, and shifts around, the water won’t flow smoothly, and riders will be more likely to tumble off-course. This is especially true of long slides. Step 6. Spray the slide with water. If you have access to a hose, use a hose. If you don’t, use a bucket to carry water to the slide. The larger the slide, the more water you’ll need. Make sure to soak the entire length of the slide. If your slide lies on a slope, you can leave a hose running at the top so that a continuous stream of water courses down the sheet. You can do the same thing with a bucket, but be sparing if you’re working with a limited supply. If you aren’t running a hose continuously–whether it’s a conscious effort to preserve water, or just because you’re using a bucket–try to splash the slide directly before someone takes a ride. Make sure that the slide is consistently wet, from top to bottom. It’s most important that the slide is wet at its beginning end. Consider adding a few cups of soap or detergent to the water, or pouring soap at the head of the slide. You can also use, say, bubble bath. The detergent will mix with the water and make for a delightfully slippery experience. Be careful not to get any soap in your eyes; consider wearing goggles in particularly soapy situations. If you’re sliding in the rain, wait for the downpour to thoroughly drench the plastic sheeting. If it’s wet and slick, you should be good to go. Be aware the rain might make for a muddy situation. Test out the slide Have a responsible person give the tarp a few test runs, just to be sure that it’s safe. Make sure that there’s plenty of room to stop at the end of the slide. Once you’re given the go-ahead: limber up. It’s time to slip and slide! Before you slide, make sure that there’s no one standing, sitting, or laying in the way. Look out for rocks, pavement, and other potentially painful surfaces. It’s better to take a spill into the grass than to run into someone else at full speed. After you ride as far as you can go, get off the slide quickly to make way for the next slider. If it’s a long slide, and the next slider can’t tell whether you’ve gotten off, yell “All clear!” to give the go-ahead. The Aquazooka Utlimate Water Blaster – This awesome water cannon will shoot up to 60 feet! The 3 Water Person Balloon Launcher – This is really a boy’s dream come true. The distance and accuracy at which both water balloons and snowballs can be launched will blow their minds. The Wabobo Extreme Water Ball – Yes, it’s a weird name, but the Waboba Extreme is America’s favorite water ball. This ball is designed to bounce off of the water which makes it extremely fun in the pool or at the lake. The instructional portion of this article was provided by wikiHow, a wiki building the world’s largest, highest quality how-to manual. 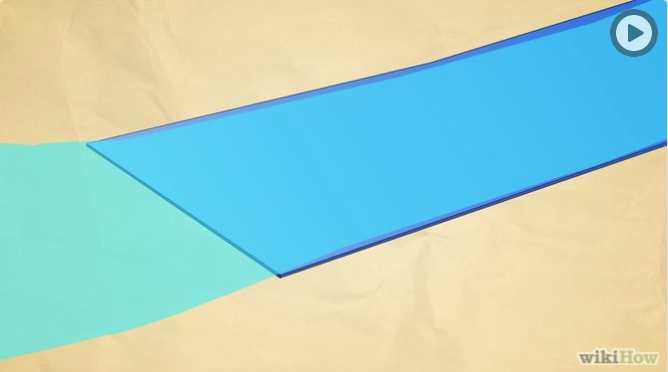 How to Make a Slip and Slide: 8 Steps (with pictures). Content on wikiHow can be shared under a Creative Commons License. 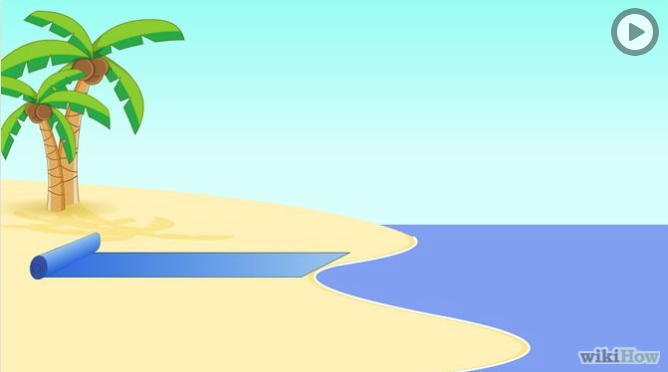 Are you heading to the beach? If so, take this printable scavenger hunt for kids with you to make a day at the beach extra fun. Although a day at the lake or the beach is fun, sometimes kids can get a little restless. That’s when it is time to pull out the scavenger hunt and get them back on track. Summer days are here again! Once the novelty of no-school wears off, don’t let boredom set in. 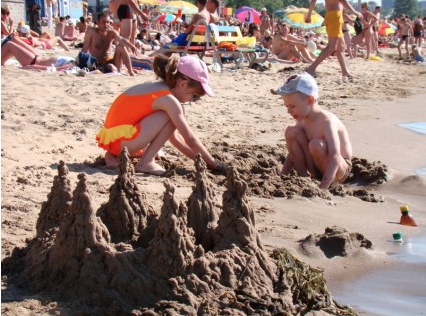 JM Cremp’s has a Summer Fun Checklist that will keep the kids busy and mom happy. Best of all, these great ideas are interactive and can be fun for the whole family. A backyard obstacle course is a perfect way to keep your adventurous boys happy! Make Your Own Paracord Bracelet – Paracord bracelets are popular and easy to make. Kids of all ages love them, and they make great party gifts and scouting projects too. Get complete paracord bracelet instructions here. Whittling Project – Whittling is a hobby that has spanned many generations, and it is still popular today. When completed, a simple whittling project will give any boy a sense of accomplishment. Besides, what boy doesn’t love playing with a pocket knife? You can find complete instructions for a Beginner’s Whittling Project here. Have Fun After Dark in the Backyard – Play flashlight tag, do some stargazing, tell ghost stories, or have a backyard campfire. There are many fun activities to do after dark that keep the kids entertained and will make them feel extra special. Turn Your Backyard into a Waterpark – There are so many ways to have a blast in the backyard when the temperature gets too high. From squirt guns, to obstacle courses, you and the kids can stay cool and have fun this summer. Get some ideas for water games here. What Kind of Wild Animals Live Near You? Go Animal Track Hunting Today! Spring is the perfect time of year for outdoor exploring and animal track hunting. The lack of vegetation in the woods combined with the mud of the season help to reveal animal tracks that are easily hidden the rest of the year. Taking your kids on an “animal track hunt” is a great family adventure, and it’s the perfect way to get everyone outside. What kind of animals live near your house? 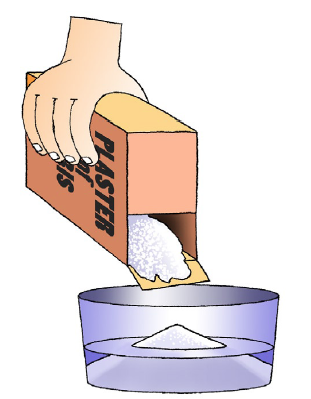 A one- or two-pound bag or box of plaster of Paris. This is a powder that looks like flour. You can buy plaster of Paris at the hardware store. It is not of expensive. A mixing bowl – a small plastic container such as Tupperware or a plastic cereal bowl. Actually you can use anything that will hold one or two cups of water without leaking, but plastic is reusable and easier to clean. You will be mixing the plaster with water, so it is also better to have something shallow and wide rather than something tall and narrow. A bottle of water. A 16-ounce plastic soda bottle works great. A 2-liter soda bottle cut into 2 inch sections. A few sheets of newspaper to wrap the track cast. A bag or knapsack to put all of this stuff in. Oh yeah, old shoes and clothes that you can get muddy in. Look for tracks on wet ground and soft mud. The best place to look is where animals go to get water. 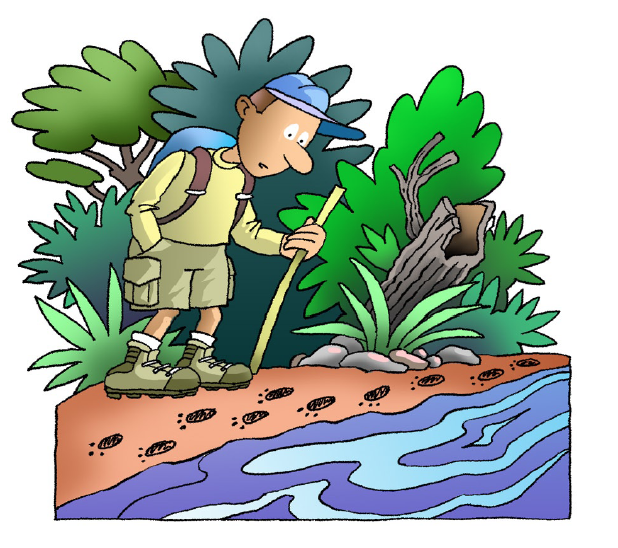 The bank of a creek, stream, river, pond, or lake is a great place to start. Sandbars are good places, too. The edges of mud puddles shouldn’t be overlooked. Once you have found a good clean track that you want to keep, gently clear away any debris around the track. Remove any leaves, small stones or twigs without disturbing the track. Place one soda bottle ring around the track so that the track is centered, and press it about 1/2 inch into the ground. This makes a sturdy circular wall that will keep the plaster from running out. Follow the directions that came with the plaster. If you don’t have instructions, here is how we do it in the field: carefully begin sprinkling some of the plaster into the water. When the plaster looks like the top of a volcano and is about 1/2 inch taller than the water, stop. (See the drawing. It’s worth a thousand words.) Let it sit for a minute or two so that the plaster absorbs some of the water. When the plaster looks like the top of a volcano and is about 1/2 inch taller than the water, stop. Let it sit for a minute or two so that the plaster absorbs some of the water. Next, begin slowly (slowly is the magic word) stirring the plaster and water with your spoon until it is creamy like pancake batter. Here is another hint: you don’t want to get air bubbles into the plaster mix. They take away some of the detail of the track. Don’t whip the mix. Just stir it gently until it is evenly mixed and has no lumps. Gently tap the bottom of your mixing bowl on a rock or a fallen tree trunk to remove any air bubbles. As you tap you will see bubbles come to the top. Aren’t you glad you didn’t whip the plaster? Keep tapping until the bubbles stop coming up. Now you are ready to pour the plaster into the circle you made earlier. Do not pour the plaster directly on the track. It might ruin it. Instead, pour to the side of the track and let it run into the track. Fill the circle to the top. This plaster thing you have just made is called a cast. It needs to harden for at least 30 minutes. An hour is better. Even after an hour, the cast will still be soft and will easily break if handled roughly. This is a good time to look for more tracks. Can you find any bird tracks? How about snail tracks? When the time is up, it is time to remove the cast. Start removing the mud 4 or 5 inches outside of the cast. Next dig away the mud below the cast. Carefully lift up the cast. If there is any resistance, stop. Dig out some more mud. Do not try to pry the cast out with a spoon or a stick. It will crack. Lift it out gently with your hands. Wrap the cast in newspaper to protect it on the trip home. It is still very fragile. It will be for about two more days. When plaster is drying it feels warm to the touch. The cast will be ready to clean after it feels cool to the touch. Clean it by carefully brushing away any dirt and debris. Then you can paint it if you like. Next, you’ll need to identify your tracks. 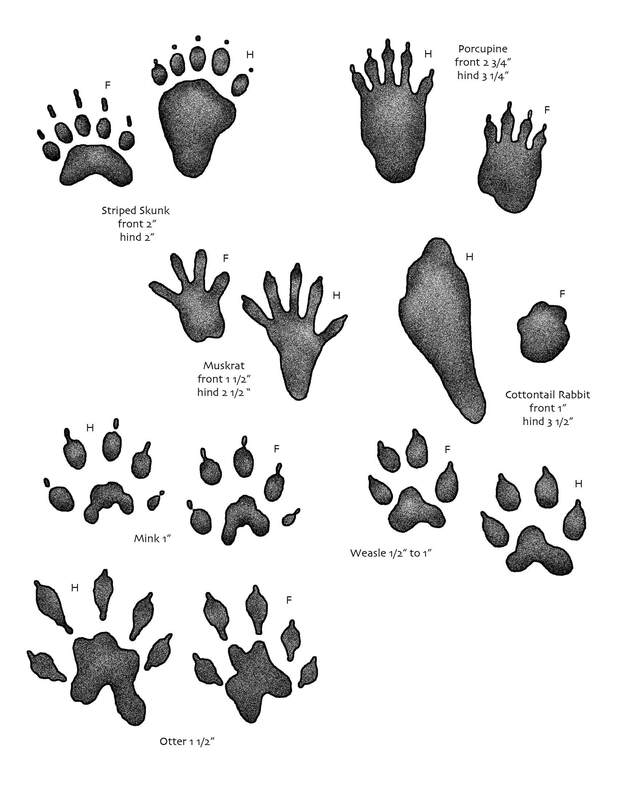 Download and print the attached animal track and plaster mold guide and take it with you in the field, or use the photos below to help identify your tracks. 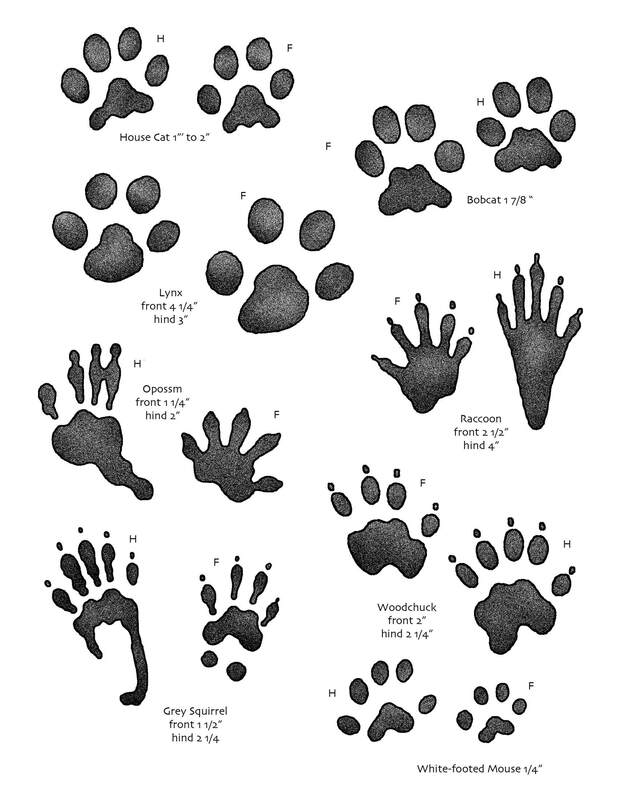 If you’d rather skip the do-it-yourself way, there is a ready made Wildlife Animal Track Mold Kit made just for you. 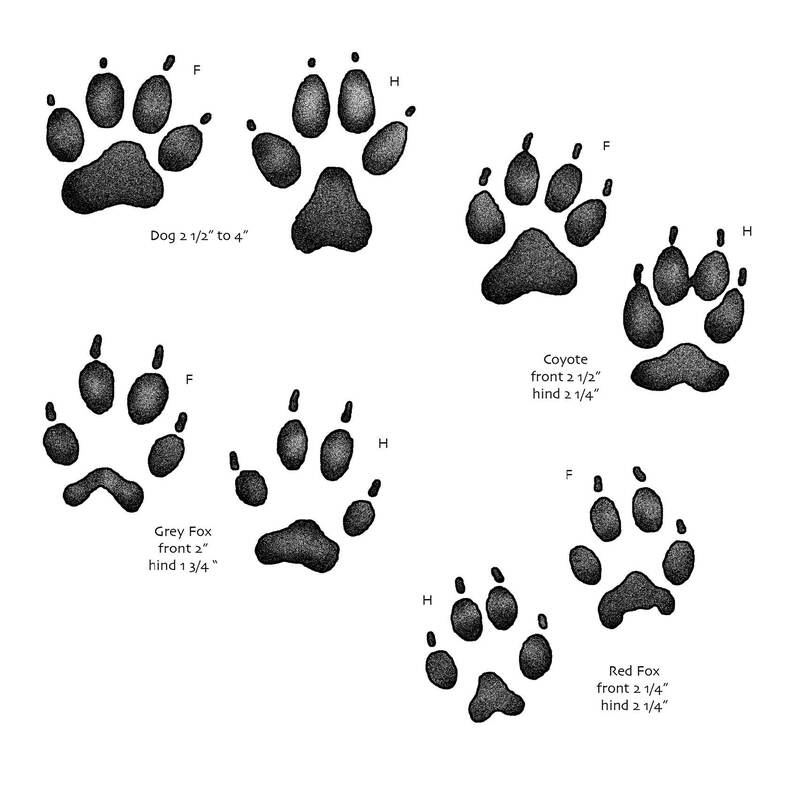 Also, if you’d like a more in-depth identification guide, check out The Tracker’s Field Guide. It’s loaded with valuable information and identification techniques perfect for beginners and advanced trackers alike. *NOTE – The attached printable pdf and the instructions in this article are part of the public domain and are courtesy of the USGS. 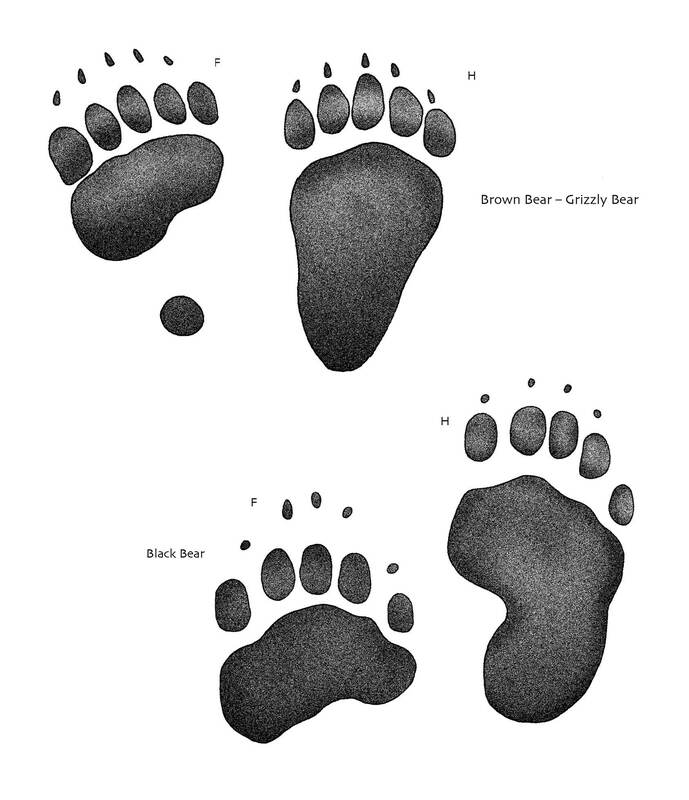 They can be found at http://education.usgs.gov/kids/tracks.html.